Live right on the Great Hope Golf Course. 9.38 acres with 300ft. of golf course frontage. 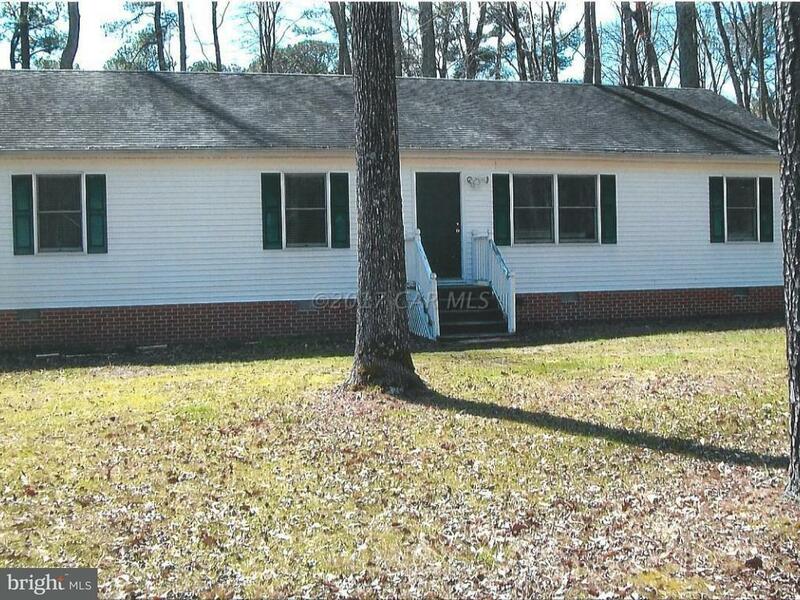 Nice 1, 456 sq.ft., 3BR, 2Bath, rancher in great condition built in 2004. Also great bow hunting. Lots of deer on the 9+ wooded acres. Has large kitchen and living room. Lots of space. Deep well with new pump. Heat pump is only 3 years old. Peaceful country living and beautiful location just a few steps from the golf course. Has a back deck and 36x18 car port with 9x18 enclosed. No city taxes. Also, no neighbors and to keep it that way, the adjoining 4.38 wooded acres is also available. See MLS#500797. Directions: Take Fairmount Rd. off of 413. Turn L on Beauchamps Lane. Take R at Private Property sign. Look for house on L.